I am going to tell you now some sensitive details about myself, so you could understand who your teacher is and if she can actually help you. For a good few years now, I have this passion for alternative facelift procedures that are completely natural and non-invasive. I tried over 27 beauty procedures, 30 different workouts and consumed tones of creams and serums. Unfortunately, I never achieved my desired result. It took me some years before I finally realized: a natural facelift looks beyond the skin. I found out that the facial muscles and framing is exactly what I needed to work on. So I decided to try exercising muscles in my face just like I exercise my body and the results were amazing. Months or trial and error and my friends started asking if I had some work done on my face, it became so toned and glowing. They started asking to show what I did and as by nature I just love to help people, I couldn't wait to help my friends achieve the same results and look good. That's how I became a face yoga coach. ♥ Had two kids. During both pregnancies, I put on 25kg but lost it in a few months, keeping my face tight and toned. ♥ I operated a large business on my own with no help while my second baby was just 3-months old. It was really stressful but I kept my face young and toned preventing all signs of aging (thank you open air-gym and face yoga). ♥ I got my MBA degree from one of the best business schools in Europe (not beauty related I know, but hey, I am actually super proud about it). 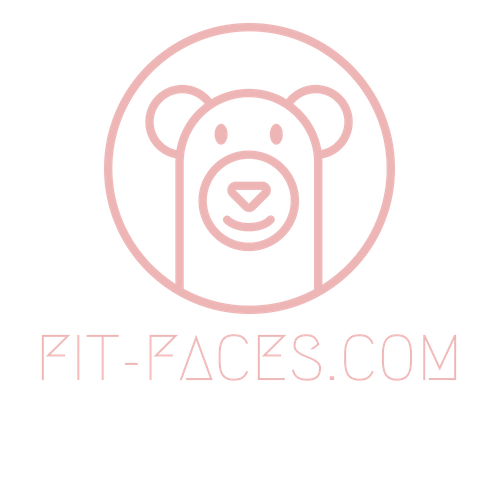 ♥ I've been helping my FIT-FACES students to look more beautiful every day, boosting their confidence and teaching them crucial habits for having a radiant look. For over 5 years I have helped different kinds of people get that youthful and radiant skin. I have helped restore the confidence of elderly ladies who used to have wrinkled skin, jowls, and under-eye bags. Not only that, but I have also helped new mothers fight off the stress acquired from sleepless nights and newborn baby stress. I have also helped many people prevent early aging by guiding them to start yoga exercises while they are still in their 20s. Now, talking about some sensitive details about me, hmm! I am Russian and I am happily married to a Swed. We live in Spain with our two little muffins. You would have noticed a small dog on some of my YouTube videos. Yes, I have a doggy that follows me everywhere, even including my online classes sometimes. As a facial yoga trainer, I start every morning with my signature exercises. I start these yoga exercises once my feet touch my bedroom carpet. You may not understand what I mean, don't worry, I will show you what it means when you start with my online program. I exercise my body outdoors 3 times a week with some circuit training - love the feeling of outdoor freedom. Also, I do face yoga 6 days a week because I love my face so much. Yes, I really do, it is a living proof that Face Yoga is actually a real thing that works! I hope I have answered some questions you might have in mind about your Teacher. Don't worry you will get to know me better from my online classes. See you there!